There are far too many books to read, papers to write, and presentations to compile this week as the UEA semester heads into crunch time. So, here’s a quick breakfast idea that I’ve been trying which gives me a lot of energy and protein to start my day sitting through those brutal three hour seminars. 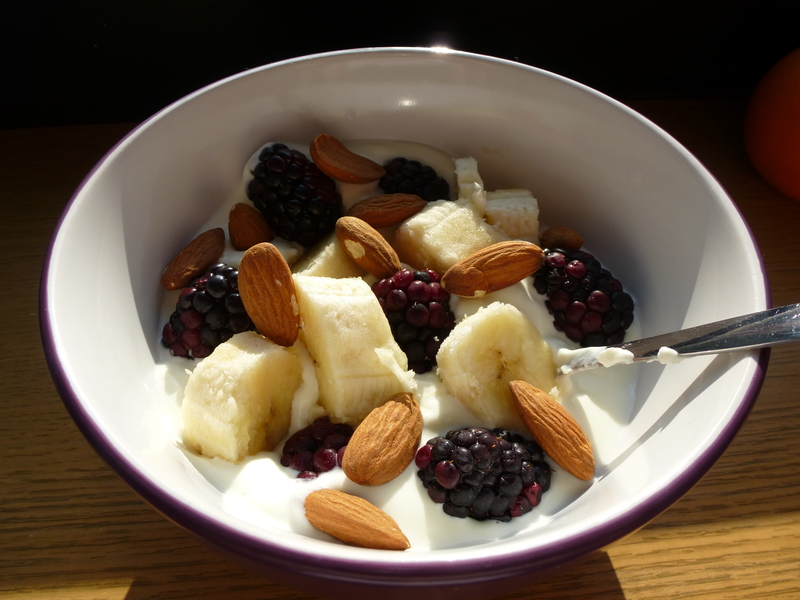 I don’t really have a name for it, but basically it’s plain Greek yogurt with blackberries, cut bananas, and almonds on top. Obviously you can substitute any fruit and any nut (try cashews with raspberries, which is awesome as well). With a nice cup of tea this has been keeping me going for the past few weeks!